I drink several cups a day and firmly believe in the healing powers of all teas: herbal, green, black, red, white, pu-erh, even CBD tea. All of it. I look forward to my morning tea ritual: Wake up, cup of green tea, morning workout, get to work. Maybe a bowl of matcha mid-morning and various herbal teas throughout the day and before bed. 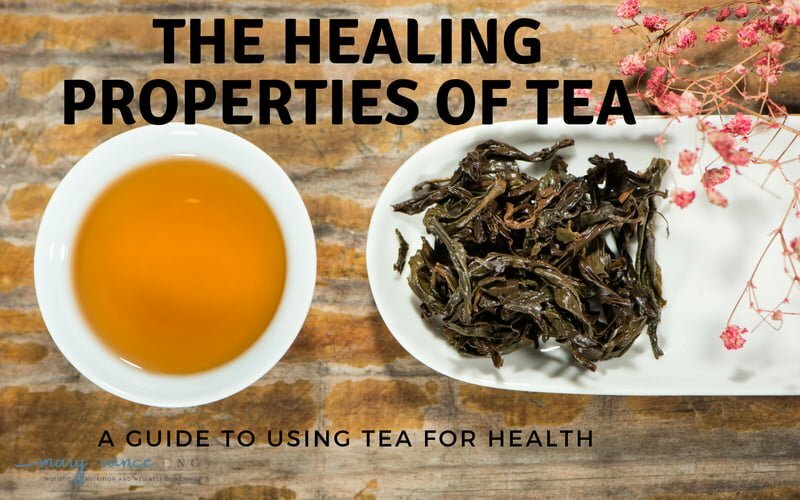 LET’S TAKE A CLOSER LOOK AT THE HEALING PROPERTIES OF TEA, AND HOW IT OPTIMIZES HEALTH. Camellia sinensis is the plant whose leaves and leaf buds are used to produce most tea (not herbal, which comes from other plants). White tea, green tea, oolong, pu-erh tea, kukicha (a Japanese twig tea with a nutty flavor), and black tea are all harvested from this plant but are processed differently and contain different amounts of caffeine. Black tea contains about 50mg of caffeine per cup. Green clocks in a little less around 35 mg per cup (8 ounces). White tea contains the least amount of caffeine, around 30mg per cup. 1/2 tsp of matcha runs about 35mg of caffeine. All caffeinated tea can run higher than these amounts depending on how it’s brewed. For comparison, the average cup of coffee contains 100-200mg of caffeine. Teas becomes tea via oxidation, a natural process that changes the color and flavor of the leaf. Tea leaves are harvested fresh, then the leaves are rolled to crack the surface of the leaf so that oxygen will react with the plant’s enzymes (that reaction is oxidation). Black tea is fully oxidized, oolong tea is partially oxidized, and green and white teas are unoxidized; they’re simply steamed and dried. Matcha and pu-erh are produced a bit differently. These teas are great for an antioxidant, mineral-rich boost. My personal fave is green tea. It’s pretty magical due to its many benefits, from anti-aging to cavity prevention to fat burning. Green tea is high in antioxidants and minerals and boosts immune health. Epigallocatechin-3-gallate (EGCG), an antioxidant found in green tea, has been shown to positively impact a number of illnesses and conditions, including obesity, Type 2 diabetes, heart disease and cancer. (source) Recent research suggests EGCG in green tea can help prevent heart disease by dissolving arterial plaque. A cup of green tea is a great way to start your day with a boost and without the jitters that come with coffee. Drink green tea to boost metabolism, energy, and to enhance digestion. There are so many varieties. Sencha is one of the more popular. Genmaicha is green tea with toasted brown rice and has a pleasant, nutty taste. Matcha is a unique green tea that comes in powder form. It’s very rich in chlorophyll. It’s stone ground after it’s picked, and it’s not oxidized nor fermented. You reap more benefit from matcha because you’re ingesting the entire leaf versus steeping and removing the leaves. Read my post all about matcha’s health benefits. I’m quite fond of it. You need a matcha whisk to make it properly (whisk together with water), or matcha lattes are super popular currently. Black tea is oxidized longer than the oolong, green, and white, so it contains more caffeine. There are tons of black tea varieties and blends out there, like Earl Gray (contains bergamot oil) and Chai (blended with spices like cinnamon and cardamom). Assam teas (often sold as English or Irish breakfast) are said to have the highest antioxidants of the black teas. I drink green over black because it has more beneficial properties and less caffeine. Oolong is oxidized somewhere between green and black but tastes more like green. White tea is very delicate and has the highest antioxidant properties of any tea. (source) That means it could potentially reduce the risks of developing some cancers and heart disease. It’s also anti-inflammatory. White tea apparently contains more theanine than green tea and less caffeine, so this is a good choice for all-day sipping. I generally do not recommend drinking green tea or any caffeine-based tea or beverage after noon if you have trouble sleeping. This is my favorite white tea– delicate and floral. Pu-erh tea is another favorite of mine (I say that about all of them). It is aged fermented and “alive” when consumed. It comes in a brick and contains beneficial microorganisms and enzymes. I often compare the taste to a barnyard or saddle leather. It’s very smooth. Somewhat of an acquired taste, but super healthful. It has about 60-70mg caffeine. Said to improve digestion and reduce cholesterol. 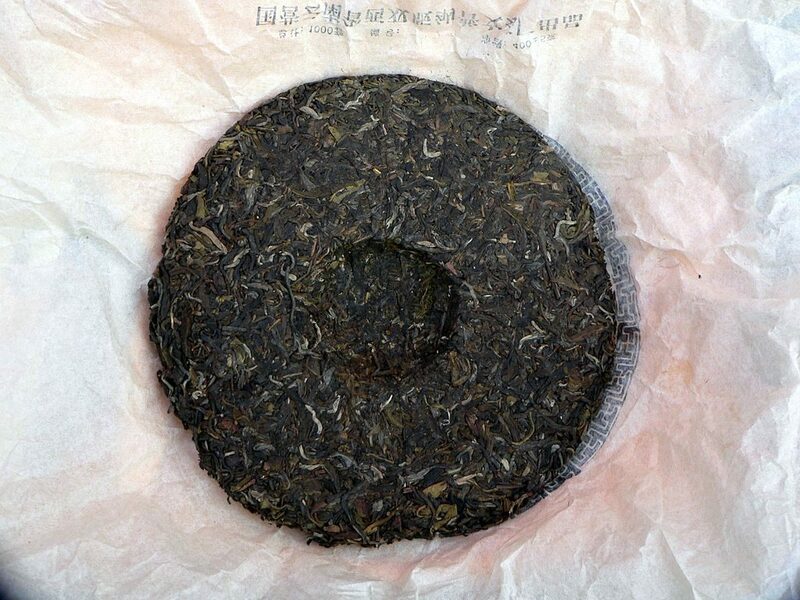 Pu-erh comes in a brick, but you can also buy it bagged. A brick of pu-erh tea. I’ve also been recently drinking loads of Pique tea lately. It’s super unique because it’s not bagged tea leaves; they’re tea crystals. It’s cold brewed, which eliminates all heat in the process and extracts the maximum antioxidant capacity of tea leaves. It’s a great choice for camping or on-the-go. You simply dump one of the tiny packets in your mug and add cold or hot water. Voila! My fave is the organic mint green, which is great for digestion. There are many varieties. Check em out here. Herbal tea is not a true tea, but an infusion. It’s made with herbs, seeds, roots, or even flowers or buds and can be used medicinally to correct imbalances or support health. It’s also called tesan. Herbal tea never contains caffeine (the exception here is yerba mate). There are so many different herbal tea combinations that it would be impossible to discuss them all, but here are the most common blends and types I use. 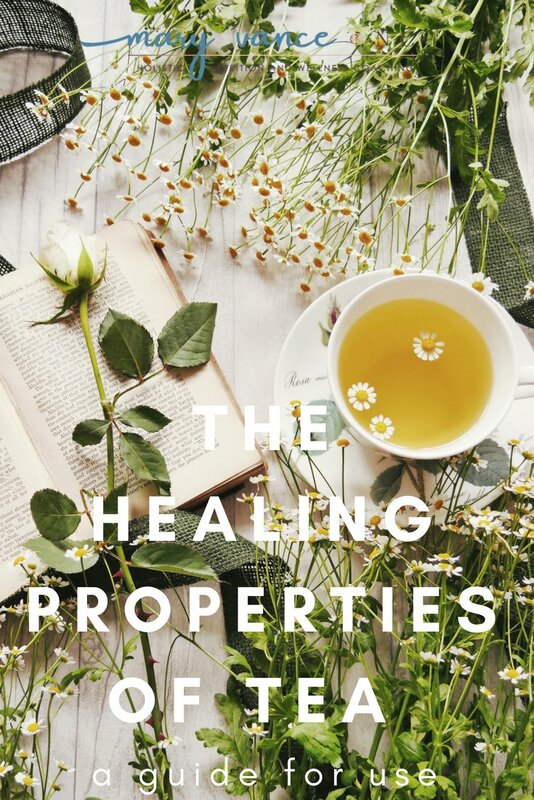 Relaxation blend: perfect for nighttime or anxiety, you’ll see that these blends contain chamomile, passion flower, valerian root, skullcap, lavender. I like Yogi bedtime tea. These herbs are very calming and promote restful sleep. Allergies: nettles, rosehips. Nettle tea has anti-histamine properties that make it a great choice for seasonal allergies. It’s also very rich in minerals and iron, so it’s great for women. Liver detox blend: Milk Thistle, Dandelion Root, Licorice Root, Fenugreek, Yellow Dock Root, Burdock Root, Oregon Grape Root. I like yogi detox. Rooibos is native to South Africa and is also known as red bush tea. It’s naturally sweet and mineral-rich. It’s also a big health booster, super high in antioxidants and is anti-inflammatory. I like this one. Digest tea: fennel, ginger, mint, cinnamon bark, licorice root. Traditional Medicinals makes a good one, or just make your own with fresh mint leaves or grated ginger root. Immune booster: Echinacea, Pau D’Arco, Astragalus, Schizandra Berries, elderberries, turmeric, nettles, rosehips (very high in vitamin C), ginger. Try this blend. For menstrual support: choose teas with red raspberry, wild yam, and vitex berries. Fertili-tea is great for regulating hormones and promoting fertility. There are great PMS tonic teas to ease premenstrual tension, too. Raspberry leaf is an excellent uterine tonic and a good choice during pregnancy. Yerba Mate is a cultural South American ceremonial tea made from the mate plant. It has an unusual and strong flavor (I don’t like it. It tastes like an ashtray) and is stimulating and mineral-rich. Said to be an appetite stimulant. Contains about 40mg caffeine, unlike other herbal teas. peppermint & ginger for digestion. I grow my own peppermint and use the leaves in this tea infuser to make my own. Or if I’m lazy I like these bags. For ginger, just grate 1 tbsp or so into a mug (or infuser) and let it steep, then strain and drink. Both are amazing for nausea and bloating. turmeric tea to combat inflammation. You can also make your own turmeric tonic. I typically buy bagged tea (Numi uses chemical and toxin-free tea bags), but this handy tea infuser is wonderful for steeping loose leaf teas if you don’t have a pot. And if you’re a nerd like me and want your tea at the proper temp (usually around 170 degrees), this electric kettle heats the water to a specific temp based on the type of tea. Hey Mary, thanks a lot for this comprehensive guide! I find it very interesting that many people still don’t know about the original tea. Speaking about it, tea can be a great coffee substitute for those who are struggling with caffeine withdrawal. As for herbal infusions, my favorite combination is Dr. Breuss’ sage tea: sage, St. John’s wort, peppermint, and lemon balm.